@SFoster wrote: For me, bottom line is that if Cassie was crazy about Colton, she would not have left. If Cassie was crazy about Colton she would have stayed. 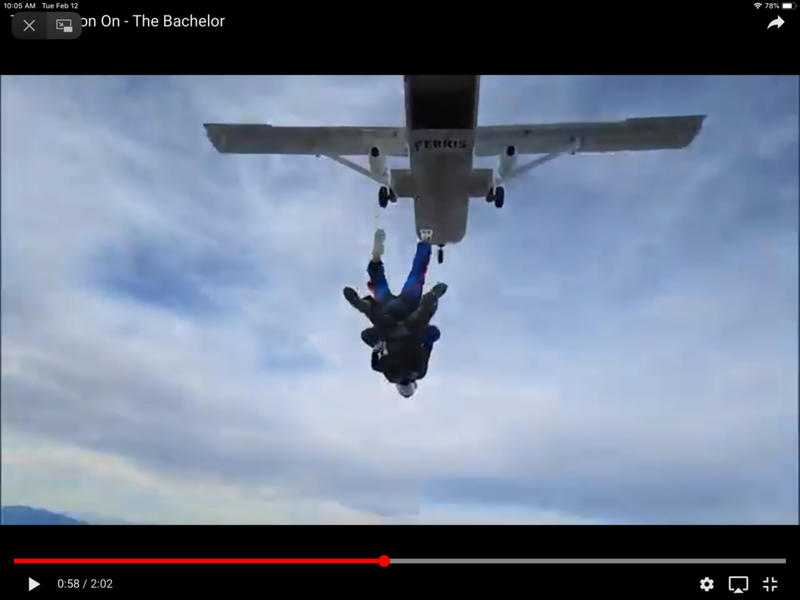 She may not have accepted a proposal, but she wouldn't have left. IMO. It's a matter of "she's just not that into him." I don't see her falling in love with Colton, or any of the women, for that matter. idk it all seems so scripted for a new way of doing things this season. To add some spice and drama. Right! I'm watching him call her almost last at RC (when she doesn't already have a rose) she's watching him with certain other women, not getting the GD rose, that's probably confusing her because it's surely is confusing me, never seen a lead do that with their F1. From reading her tweets, his time with the other women bothers her. I do believe she leaves (per limo) and he will go get her from what he is saying in the preview. I believe he will send the other women home. RS might be just wrong in who gets hometown and FS dates. @SFoster wrote: When we see Hannah B rolling on the bed with Colton, she is wearing the same red crop top she had on when she met his family. She is very happy. They are very happy. 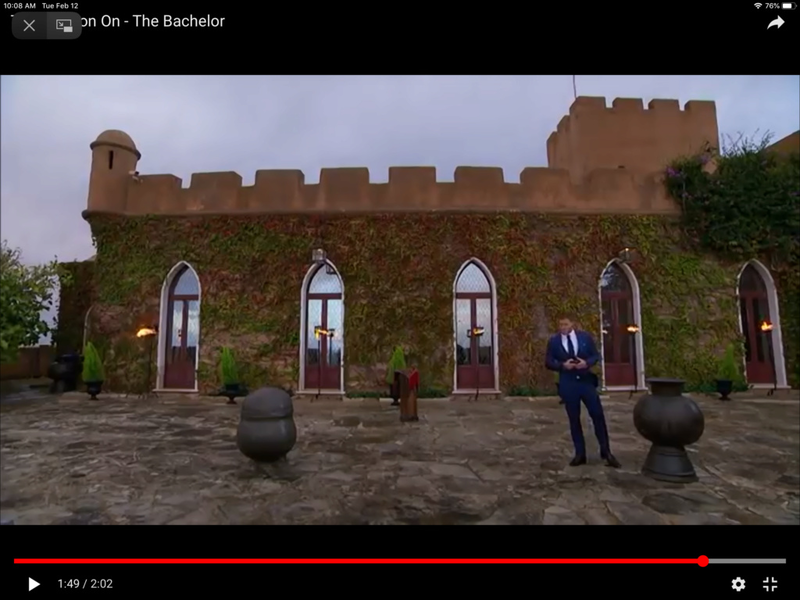 During that segment, Colton is actually saying in a voiceover "heading into the FS with someone I am madly in love with". Sure, it's just editing. It just doesn't seem like he's about to send her home. And we see Hannah B (happy) wearing that pink evening gown, saying something about she's ready for him to put a ring on it. 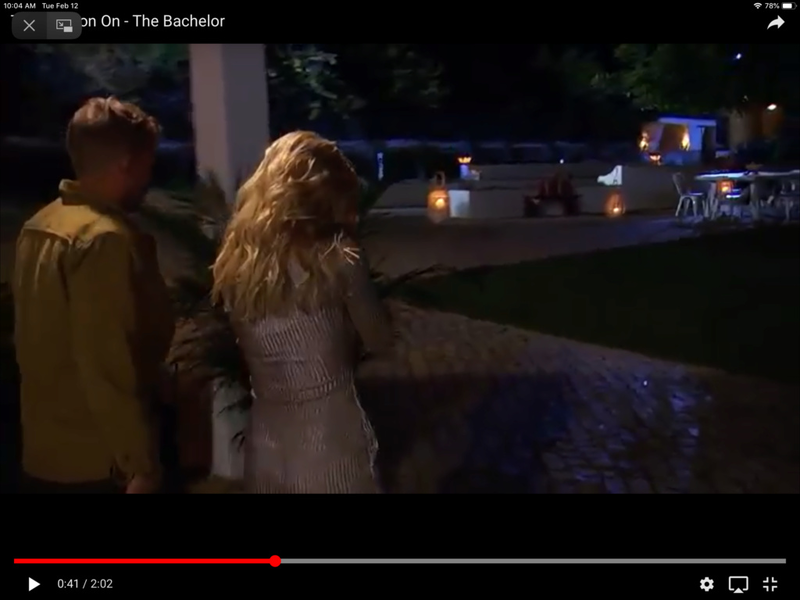 So she rolled around on the bed with Colton earlier, and the pink dress is during night portion of her 1-1 and he sends her home? But we see Cassie going home with a silver/gold lame dress? Who is that blond guy with her? The beach scene rolling on the sand. Her hair is shorter and darker than Hannah G and Cassie's. Hannah G's hair is very long and Cassie's is bleach blond. It seems like Caelynn. And we saw Colton tell Caelynn he is falling in love with her. Are you taking about this, silver /gold lame dress? Colton saying mom and dad meet Hannah is a voiceover...tricky. There's a Scene with Colton and Hannah B. going into a hotel room Hannah has on a black halter and black pant, we also see her in the same outfit walking like she is leaving and not too happy. I have been looking for the fortress as called by @notarose but no luck yet. It almost looks like a church or monestary to me by the shape of the doors. There is a Perris Aviation, good find @sdmom, in Los Angeles. They call themselves one the worlds largest skydiving centres. I don't see a ring in that box either. It could just be a fake FRC shot for the promo's. IIRC they did that during Jillian's season. I guess it’s FRC? 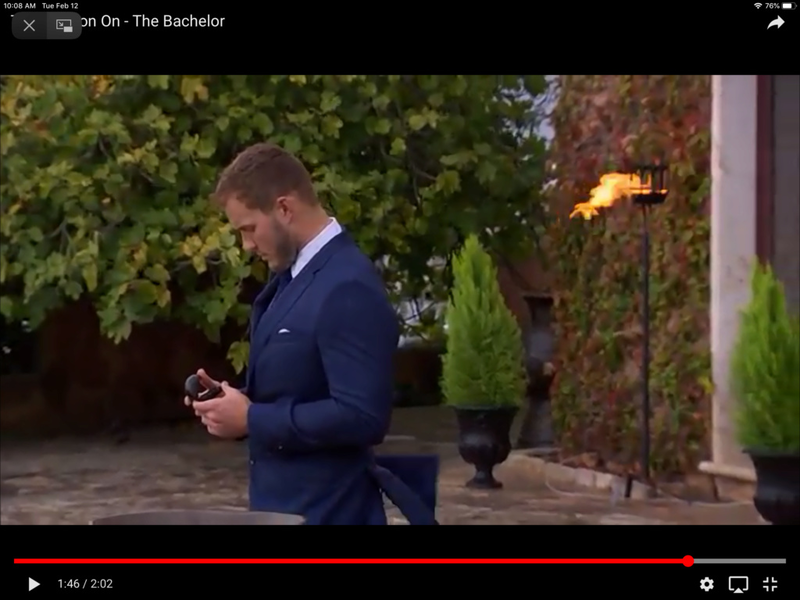 No ring in the ring box and I notice what Colton says is all voiceover. It’s him and Tayshia. The plane says Perris, with a pink cross symbolizes fighting breast cancer. Is this from next episode or FD? Do we know where they went for FD? I know there’s a town Perris near LA, did they bet back to US? The last one is him kissing Heather in Denver, train says Georgetown Loop Railroad. Group date, 1-1, or 2-1? Oh, one last: is this when he sent Hanna G home? Edit: sorry I messed up on the last picture, it ended up as the first one. The (FRC) Proposal..."Will you marry me because I'd really like to date you"
With the release of the new preview, I decided to make a prediction video. As I mentioned yesterday, I made a video (posted it on reddit too, fyi) where I edited together all 3 previews to create a fluid prediction for the rest of the season. @lavenderfan Great work on the video! Clearly, we see him with Cassie at the end. Interesting how Caelynn tries to convince him she's the only one with true feelings for him. Is she the one who throws Cassie (etal) under the bus? They seemed to be besties in the house. @SFoster wrote: @lavenderfan Great work on the video! Clearly, we see him with Cassie at the end. Interesting how Caelynn tries to convince him she's the only one with true feelings for him. Is she the one who throws Cassie (etal) under the bus? They seemed to be besties in the house. Guys - please do the sleuthing in the main threads.... a lot can get lost in episode thread discussions. @lavenderfanthank you for the video. I made more screencaps. Let’s discuss in the SC thread.